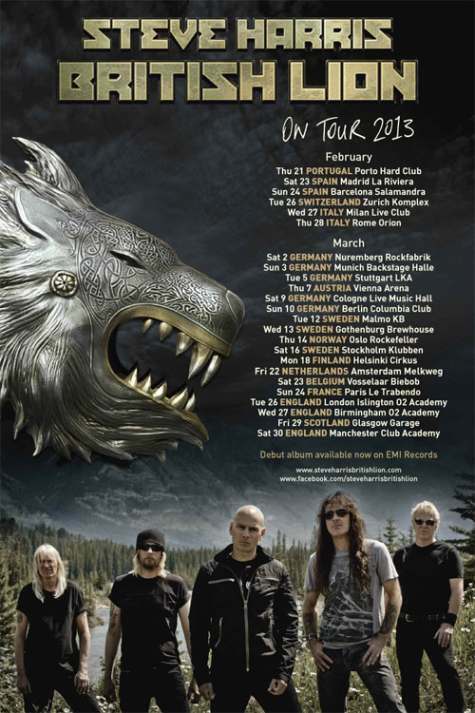 Steve Harris will be taking his new solo/side project British Lion out on the road next month visiting fourteen countries and twenty four cities across Europe, starting in Portugal on February 21. 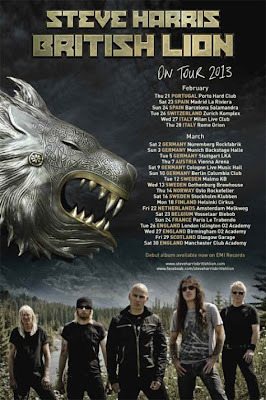 For the first time ever, and as a major surprise to many, Iron Maiden’s bass player, founder member and leader will be taking temporary leave from his Maiden activities and heading out on a full European Club tour. Released last fall, “British Lion” is Steve’s debut CD outside Iron Maiden. Featured alongside Steve are Richard Taylor on vocals, David Hawkins on guitar and keys, Grahame Leslie on guitar, and Simon Dawson on drums.